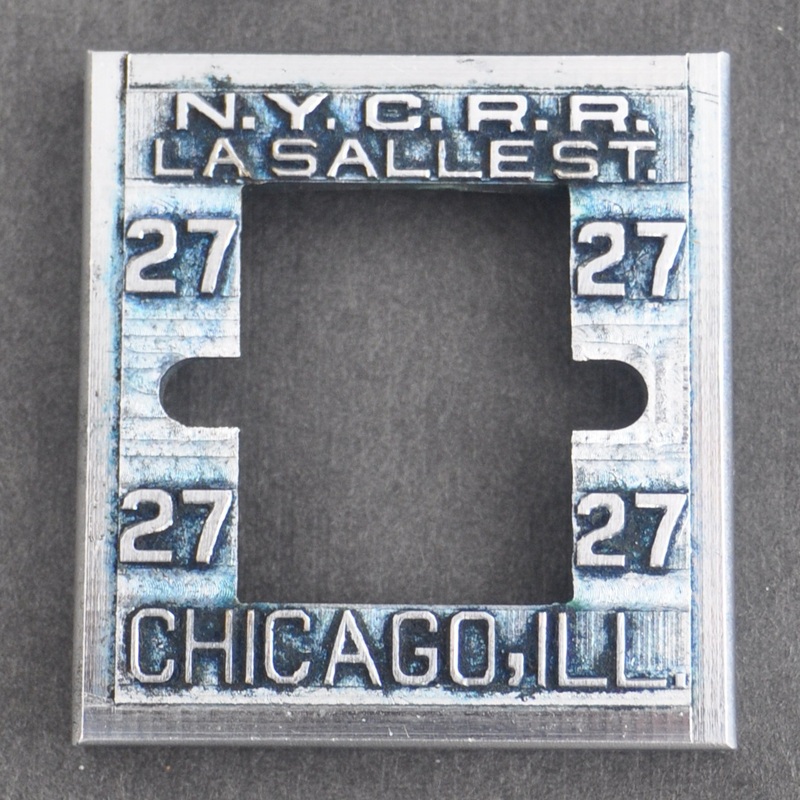 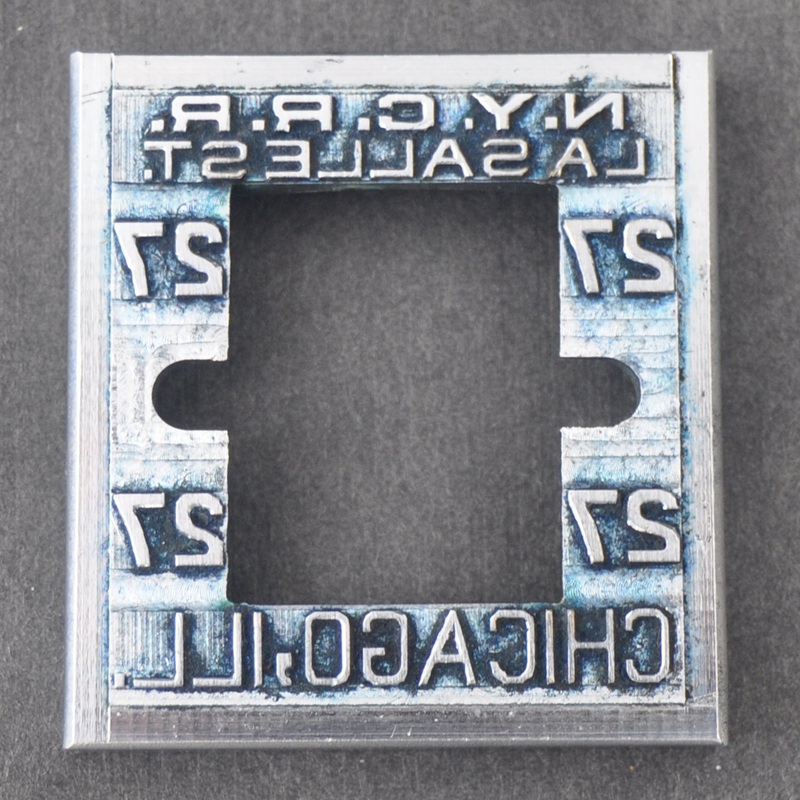 Size 1.75" x 1.875" x .25"
Description New York Central (NYC) Railroad downtown Chicago, Illinois La Salle (LaSalle) Street Station Position Number 27 Ticket Dater/Date Stamp Die for a Hills Model No. 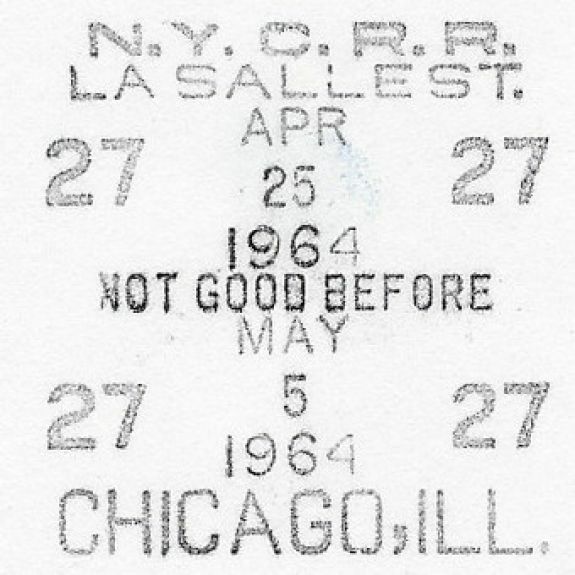 7 ticket dater machine. 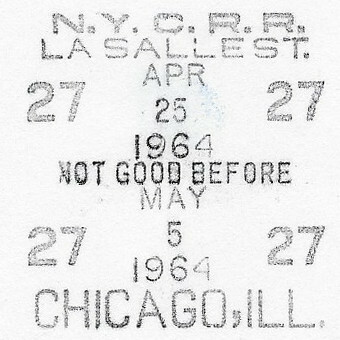 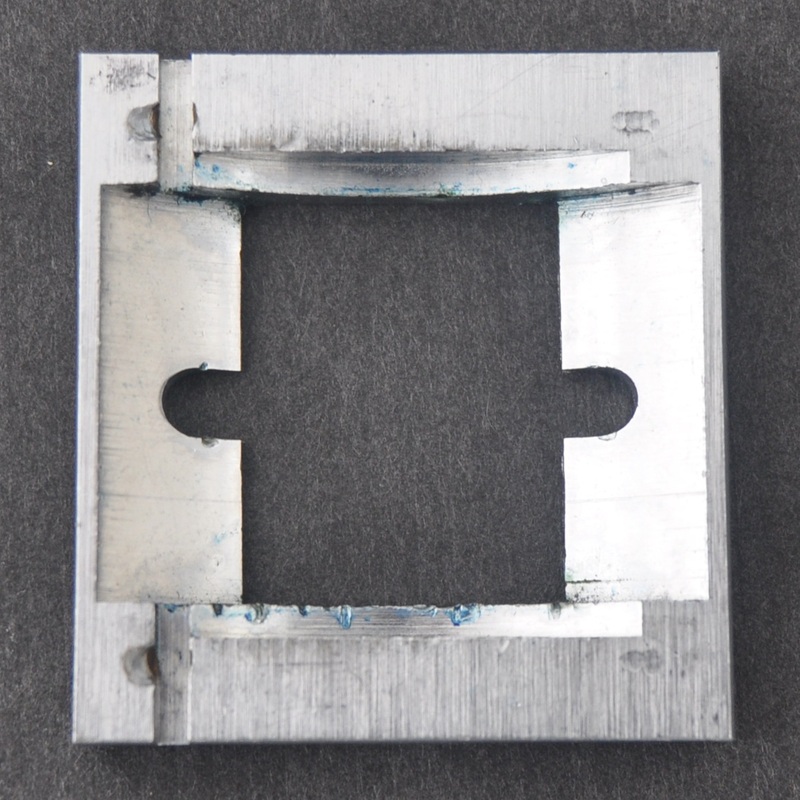 A rare die from a busy Chicago station.